Jonathan is a litigator who represents many high-profile businesses and individuals in complex intellectual property and commercial litigation cases. 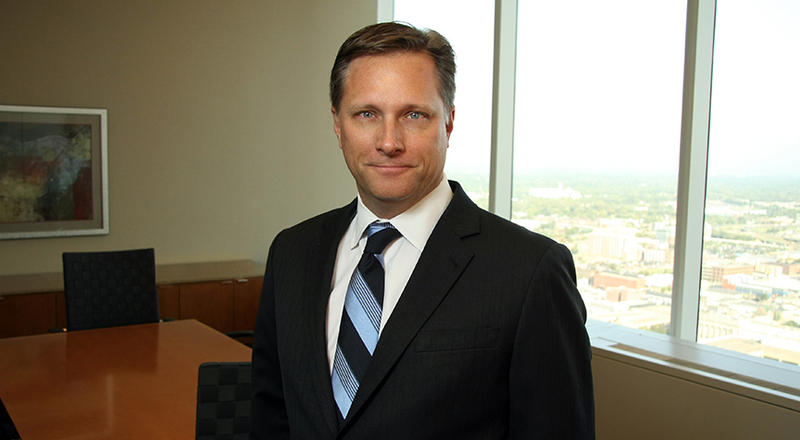 Over the course of nearly 25 years practicing law, Jonathan has represented clients in disputes involving trademarks, trade dress, copyrights, rights of publicity, trade secrets and patents. Jonathan also has considerable experience in domain name dispute litigation, and has also successfully represented clients facing software, technology and entertainment law issues. His clients have included major corporations, closely-held companies, independent inventors, and celebrity estates. Jonathan is truly a national litigator, having litigated in state and federal courts in 25 out of 50 American states. Jonathan’s comprehensive knowledge of the intricacies of intellectual property and commercial litigation, along with his strong track record with defending his clients’ interests, are among the reasons why he has been honored by Best Lawyers in America®, Indiana Super Lawyers, Chambers USA: America’s Leading Lawyers for Business, Benchmark Plaintiff and Benchmark Litigation for his work. Although Jonathan has successfully litigated many important disputes over his career, he is most proud of his work on behalf of Fred and Kim Goldman in their pursuit for justice against O.J. Simpson. In representing the Goldmans, Jonathan presented unique intellectual property arguments and legal theories to collect on the Goldmans’ multi-million dollar wrongful death judgment against Simpson. Jonathan also appeared on behalf of the Goldmans on numerous national and local news shows, including ABC News’ Nightline, Fox News’ Greta Van Susteren Show and CNN Headline News’ The Nancy Grace Show. As a result of those efforts, Jonathan was able to secure for the Goldmans the largest financial recovery ever on their wrongful death judgment. Such creative lawyering is the foundation of Jonathan’s practice, and he uses those skills in representing corporate clients as well – finding new and innovative ways to use intellectual property to advance their business interests, whether in or out of court. Jonathan has been active in his community through his current and prior work as a board member for organizations such as the Indiana Small Business Development Center Advisory Board, NPower of Indiana, People on Wheels and Park Tudor School. Jonathan received his J.D. from Southern Methodist University School of Law, and also received his B.S. from Southern Methodist University. He moved from Texas to Indiana with his family in 2000, and is currently licensed to practice law in both Texas and Indiana.